The militants of the terrorist group "LPR" denied representatives of the OSCE Special Monitoring Mission (SMM) the inspection of "humanitarian aid" from the Russian Federation, according to the mission's report of March 30. The mission noted that the armed militant did not allow the OSCE SMM to enter the storage facility, where cars with humanitarian aid stopped. 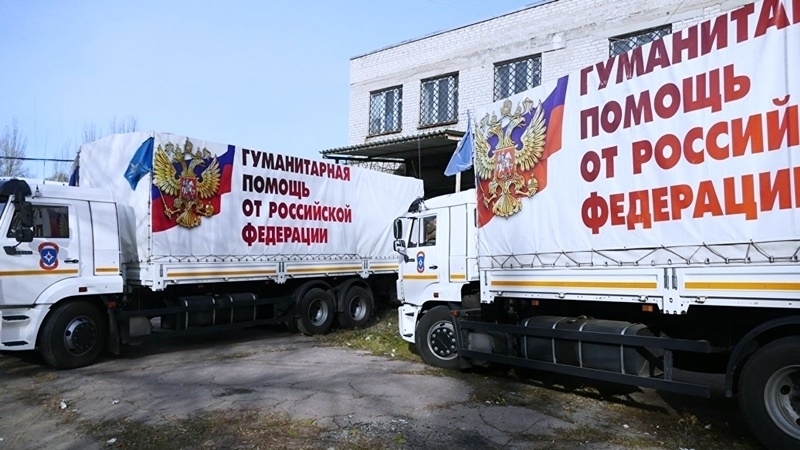 This is not the first time the staff of the OSCE SMM was not allowed to inspect trucks with the inscription "Humanitarian Aid from the Russian Federation". The members of the LPR argue that the observers needed a permission from other members of the LPR to access the facility.